Since starting Emphatic Hands, I have tried to find a way to write about things I like in brief. That rarely works out. But I’m going to try it from now on, once a week, every Tuesday. (Haha, I hope.) “Emphasis On” – shut up, I needed a title – will consist of brief, one-paragraph reviews of books, music, films or television. First up, Gary Shteyngart’s Little Failure. I suppose that I’m a casual Gary Shteyngart fan. (I have a hard time relating to contemporary male writers, so this is a big deal!) I follow him on Twitter, have read one of his novels – Absurdistan – in its entirety, and have read plenty of his fiction and non-fiction in publications such as The New Yorker and Travel + Leisure. I recently finished reading his memoir, Little Failure, and I thought it was very good. I enjoyed the experience of reading it more than I did the experience of reading Absurdistan. I am generally a fan of his style – this is a meaningless word, really, but I can’t find the word I’m looking for, so I’m sticking with this for now – and humor and found that these things, applied to writing his own life story, worked extremely well. 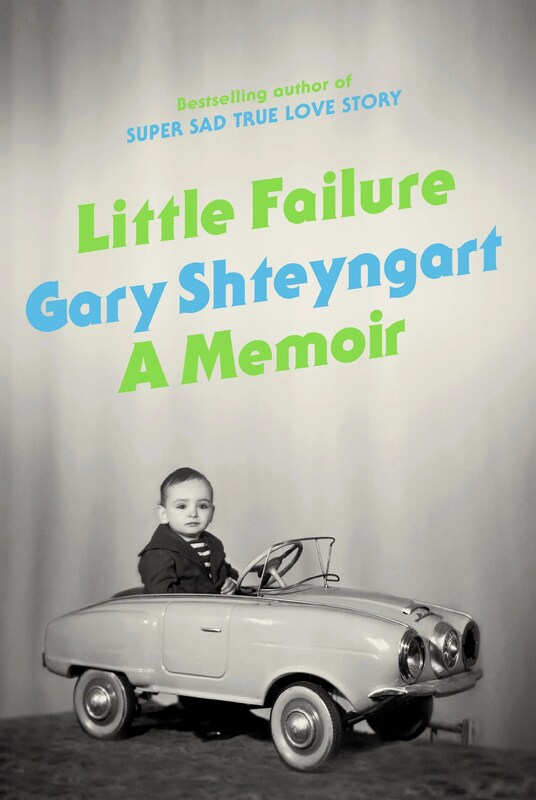 I’m not saying you’ll definitely like it, but I think you should read Little Failure if you have read any Gary Shteyngart previously, whether or not you liked it. Also, read it if you have felt like an outsider as an adolescent or artist and/or have overbearing parents who do not easily or straightforwardly express emotion.